Home / Articles / Oil Pulling at Night: Does Coconut Oil Really Whiten Teeth? 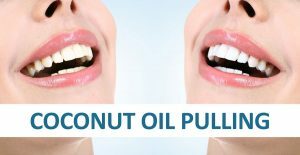 Oil pulling at night has been a practice used for centuries, but it has recently seen a resurgence in popularity. You oil pull by swishing oil around in your mouth just as you would mouthwash. Coconut oil is one of the most popular oils for pulling because it has a pleasant taste. Oil pulling is safe and can be very effective for “pulling” residue off of teeth, but can it whiten teeth, too? According to advocates of oil pulling, the practice removes toxins and bacteria that build up on teeth and gums. Getting these impurities out of the mouth improves oral health and prevents other issues, too. After all, how can removing toxins from the body ever be bad? Unfortunately, some people tend to oversell the benefits of oil pulling. 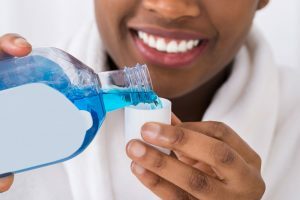 It can be an effective way to maintain dental health at home, but it shouldn’t be used as a substitute for brushing or for twice-yearly dental health checkups. 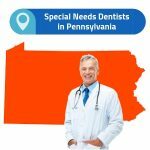 It isn’t a miracle solution,and it’s important to still work with a professional dentist to ensure your oral health is in good order. How Do You Oil Pull at Night? Oil pulling is a bit of a commitment – at least more so than brushing your teeth or using a mouth rinse as part of your daily oral hygiene routine. To oil pull, you take a small amount of oil – about the amount you’d take for using mouthwash. Swish the coconut oil around in your mouth for 10 to 20 minutes (Gandusa oil pulling). This might not seem like very long, but many people find it difficult to keep something in their mouth for this long, so it’s best to start on the lower end and work your way up to more time. two times per day (Kavala oil pulling), so you might want to try that method in the morning and at night and see if you’re happy with the results. To learn more about the difference between Kavala and Gandusa oil pulling, check out this information. Keep in mind if you aren’t used to oil pulling at night the taste and texture of coconut oil might trigger your gag reflex. Most people find the taste relatively pleasant, but it might take some getting used to, especially if the texture is not lumpy because the oil is cooler. Does Oil Pulling at Night Work? Whether or not oil pulling is effective depends on who you ask. Some people swear by it, while other people have seen no difference at all. 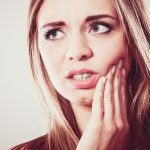 Others have never tried it but assume that it isn’t going to do much more than rinsing out your mouth in any other way.The American Dental Association states that no evidence proves oil pulling is an effective replacement for routine dental care and also cautions that many of the claims made by advocates of oil pulling are likely exaggeration. Since it’s safe and inexpensive, your best bet if you’re curious about oil pulling is to try it for yourself. There is some evidence that oil pulling does offer benefits. 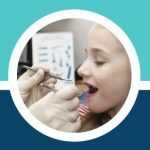 It can take a commitment of a few months of doing the practice,and it’s important that a person have decent oral health to get the results needed. For instance, if it’s been awhile since your last dental cleaning, your best bet is to undergo a cleaning and then begin oil pulling. It can help you maintain the results of your professional cleaning longer than brushing and flossing alone. A few small studies have shown oil pulling offers a few benefits, including reducing plaque and bacteria and reducing a person’s risk for gingivitis. There’s also evidence the lauric acid present in coconut oil contains antimicrobial properties and can fight off bacteria, yeast, and viruses. To learn more about coconut oil and its benefits, check out this information from Organic Facts. As effective as oil pulling can be for maintaining dental health, there are a few things it won’t do. Despite the research, some dentists don’t believe the practice does much of anything. Others believe it doesn’t do any more than rinsing the mouth with mouthwash or plain water. 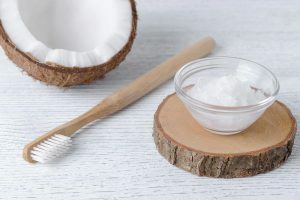 They acknowledge oil pulling won’t harm dental health unless a person uses the practice to replace their routine dental visits or other activities in their oral hygiene routine. Adding it to an already comprehensive dental health routine won’t hurt, but it might not do much to improve things. There is some mild concern that oil pulling can cause excessive thirst, encourage a dry mouth, or cause loss of sensation in the mouth. 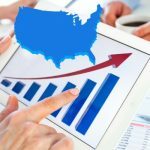 Some have also experienced muscle stiffness and TMJ symptoms after jumping into Gandusa oil pulling without working their way up to the full 10 or 20 minutes required. Still, the biggest risk of oil pulling is the impression it can give to some that it’s a cure-all. Anyone who chooses not to brush or floss his or her teeth and oil pulls instead is making a mistake. The same is true if you stop visiting the dentist. Oil pulling cannot “cure” gingivitis or fix a cavity or achieve anything else some advocates claim. The oil won’t remove tartar, which requires a visit to the dentist for a deeper cleaning. It’s also advised that when you oil pull you use a quality oil that is food grade. This way if you accidentally swallow some of the oil – and chances are you will – you don’t need to worry about ingesting anything harmful. Pure coconut oil is actually quite healthy, so it’s probably not going to be a big deal if you swallow any, but you want to be sure it’s as safe as possible. Livestrong provides information about the various types and qualities of coconut oil here. Ultimately, you won’t know how effective oil pulling at night can be for whitening your teeth until you give it a try. It’s an inexpensive way to “beef up” your dental health routine and some people find that being proactive helps them stick to a more consistent routine.